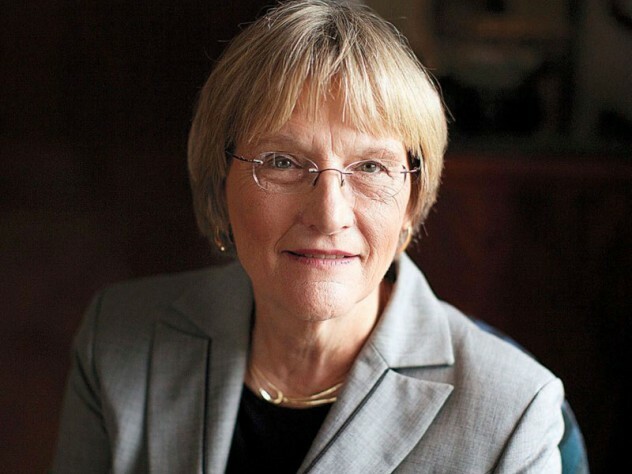 Drew Faust, the recently retired Harvard University president, and the first woman to hold the role, has been appointed to the board of Goldman Sachs. Ironically, in one of her first speeches after taking the top role at Harvard in 2007, “she implored Harvard’s graduating class to resist the easy lure of lucrative Wall Street jobs and often spoke of the need to study the humanities,” according to the Boston Globe. Prior to assuming Harvard’s presidency, she served as founding dean of the Radcliffe Institute for Advanced Study from 2001 to 2007. She served on the faculty of the University of Pennsylvania for 25 years, including as the Annenberg Professor of History and director of the Women’s Studies Program. A historian of the Civil War and American South, she is the author of six books on the subjects including This Republic of Suffering: Death and the American Civil War, which was a finalist for a National Book Award and a Pulitzer Prize. She continues to serve as the Lincoln Professor of History at Harvard, a position she has held since 2001. “Drew led Harvard through a decade of growth and transformation. Her perspective and experience running one of the most complex and preeminent institutions in the world will benefit our board, our firm and our shareholders,” said Lloyd C. Blankfein, chairman and CEO of Goldman Sachs, in a statement. Faust will join the board of trustees of The J. Paul Getty Trust in September 2018 and currently serves on the educational advisory board of the John Simon Guggenheim Memorial Foundation. She is also a member of the American Academy of Arts & Sciences, American Philosophical Society, American Antiquarian Society, Organization of American Historians, Society of American Historians and Southern Historical Association.